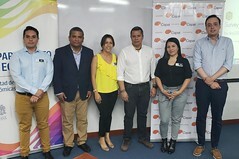 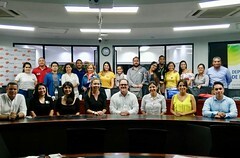 Cali, Colombia, March 28, 2019 – Telefónica Movistar, Cepei, Esri, the OSDAL Network, and the Pontificia Universidad Javeriana de Cali, organized DataLiving Lab, a space that brought together different sectors of the city to detect problems and local solutions related to early childhood within the framework of the Sustainable Development Goals. Live monitoring to identify the progress towards the implementation of the Sustainable Development Goals in Valle del Cauca. Having quality data is essential for decision makers and public opinion. 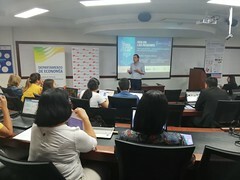 Government, civil society, private sector and academia representatives, as well as technicians and decision makers from Cali interested in the use of data and related technology (analysis, maps, visualizations, tools, among others), faced the challenges posed by the implementation of the SDGs at the local level. Early Childhood emerges as a topic of interest for DataLivingLab2030, given the relevance it has for Cali, having been included as a priority in the City’s Development Plan. 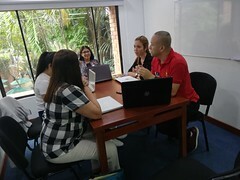 Evidence-based tools can be very useful to define the current situation and the challenges faced by local decision makers. 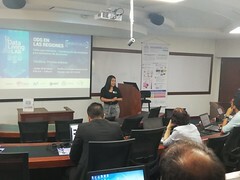 Likewise, Ana María Osorio, Associate Professor of the Economics Department and Leader of the Research Program on Childhood Wellbeing of the Universidad Pontificia Universidad Javeriana de Cali, said that the DataLiving Lab is an opportunity to make visible and monitor the conditions of early childhood life and motivate effective and timely public policy actions that translate into benefits for children. A new component, Analiza, which will allow visualizing the contribution that the chambers of commerce make to the measurement and implementation of the 2030 Agenda through the provision of databases that the cameras collect in their daily activity and are related to the SDGs.